Rick Smith and his wife, Roberta. Many people often wonder what police officers do when they retire from law enforcement. After all, there’s not too many jobs that allow you to have the same adrenaline rush as driving 90 miles per hour to an armed robbery, the feeling of saving someone’s life, or making a positive impression on a child like being a police officer does. Retired Dover Police Chief, Rick Smith, has found joy in his retirement days working for Santa Claus. Yes, that Santa Claus. After serving as Chief of the Dover Police Department from 1992-1997, Rick Smith retired and moved to Texas. 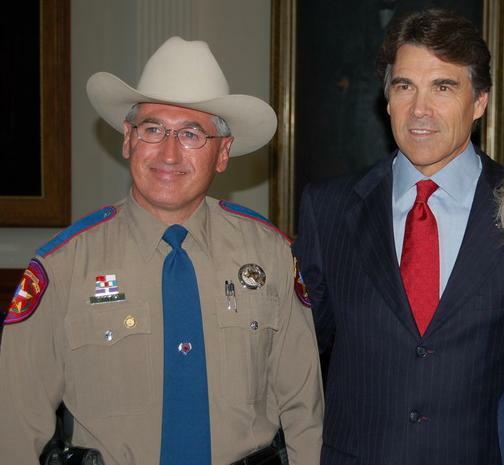 In 2001, Smith couldn’t stay away from law enforcement any longer and joined the Texas Highway patrol, where he was awarded the Star of Texas award to those seriously injured or killed in the line of duty. On August 20, 2006, Trooper Rick Smith responded to an officer down broadcast by the Midlothian Police Department. Upon arrival he left cover with fellow Troopers Vance Griffin and Bill Werkmeister to pull Midlothian Police Officer Cody McKinney to safety. After rescuing Officer McKinney, he was shot in the face by the shooter. Smith made a full recovery, serving six more years before retiring from the Texas Highway Patrol and law enforcement for good on July 31, 2012. Despite completing two law enforcement careers, Rick Smith still felt the need to make an impact on people’s lives, help them create memories, and impact children. When Rick and his wife Roberta lived in Delaware, they raised longhorn cattle. “I guess we tend to like the non-traditional critters” Smith said. When the couple moved to Texas, their friend (a real-bearded Santa), suggested raising reindeer. Rick and Roberta began to research the animals and the couple purchased their first two reindeer, and instantly fell in love with them. Since then, the ranch, and their reindeer family have grown. “They are truly magical to be around. Owning reindeer allows us to live Christmas 24/7, year round.” But the Smith’s certainly don’t keep that magic to themselves. Instead they offer year round tours to civic groups, church groups, the general public, schools, and more. 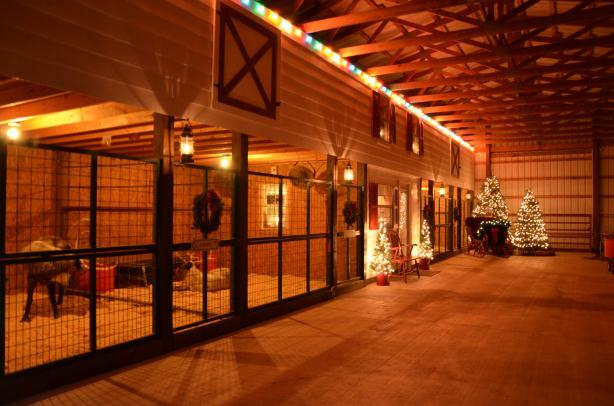 Besides the warm weather, the ranch looks and feels like you entered the North Pole Reindeer Stables. “The reindeer barn was built to look like Santa’s reindeer barn, complete with Santa’s office, which holds the Naughty and Nice Lists” Smith stated. The deer also go on tour throughout the Lone Star State so many others can enjoy the animals throughout the holiday season. Most visitor’s first questions is “Where do you get reindeer?” The logical answer would seem to be The North Pole. The Smith’s reindeer come from the land of 10,000 lakes, Minnesota. 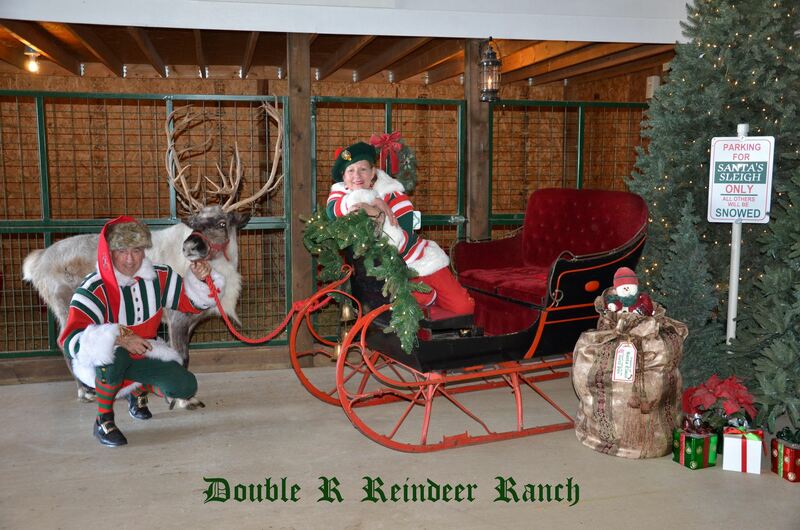 Rick and Roberta purchase their reindeer at six months old from a Minnesota breeder and raise them on the Double R Ranch. The Double R Ranch is also the home of a Hollywood movie star. 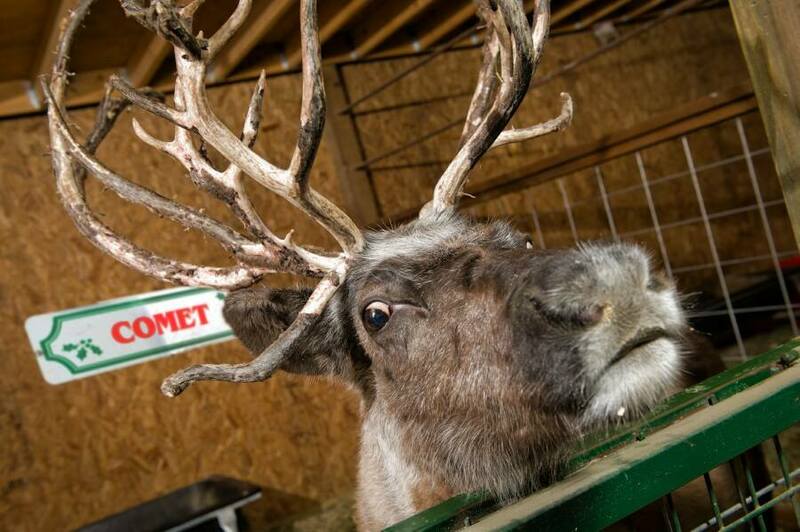 Comet, one of the Smith’s six reindeer, is featured in the 2013 Christmas film “Angels Sing”starring Harry Connick Jr., Connie Britton, Chandler Canterbury, Fionnula Flanagan, Lyle Lovett, Willie Nelson, and Kris Kristofferson. When not starring in movies or photo shoots, the reindeer spend much of their time grazing and lounging around the ranch, but stay busy during the Christmas season, especially on Christmas Eve.